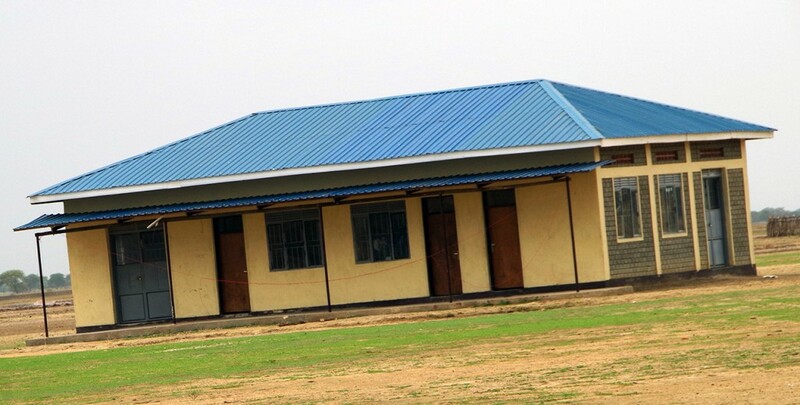 PACODES built a library in South Sudan in 2013. Photo from the Concordian archives. 2017 marks the 10th anniversary of PACODES, a Concordia student organization which strives to assist with education and economic development in South Sudan. PACODES stands for Panyijiar Community Development Services. Panyijiar County is an impoverished region in South Sudan. Concordia alum Machien Justin Luoi, who was one of the Lost Boys of South Sudan, founded the organization during his senior year at Concordia. The Lost Boys were children that were displaced during the Second Sudanese War, which lasted 21 years and displaced over 2 million people throughout the conflict. While reading a book titled “How the Irish Saved Civilization” in Dr. Roy Hammerling’s Studies of Religious History class, Luoi got the idea to build a library in his home country. Luoi told Hammerling that there were no libraries in South Sudan, where literacy and education rates are some of the worst in the world. According to UNICEF, the adult literacy rate in the country stands at a mere 27 percent, and 70 percent of children aged 6 to 17 years have never set foot in a classroom. Luoi and Hammerling began the process of creating a nonprofit organization with the help of a lawyer that Hammerling knew, but found out that it would cost $2,500 to start. According to Hammerling, Luoi had an indomitable spirit, and nothing could keep him down, so they went forth with the process and decided to figure out the money side of it later. Conmy Feste Law Firm waived the $2,500 fee because they were very taken by Luoi’s personality and perseverance. An architect named Pi Uzma Mirza drew up the plans for the library at no cost. According to Hammerling, every time there was a hurdle, they just seemed to make it go away. Luoi proposed his idea to Dr. Mike Bath in political science, Dr. Rick Chapman in history, and Dr. Joan Kopperud in English; Professor Ron Twedt in business also got involved later on. Thus, PACODES was created. An organization with the same name already existed in South Sudan, so they decided to create the nonprofit in North Dakota with the same name in order to benefit the original organization. 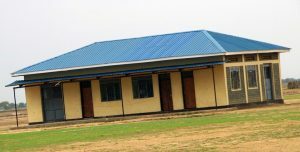 PACODES succeeded in building their library in 2013, and has continued to assist with development in South Sudan since. Some of the projects, including a fishery funded in cooperation with US Aid for International Development, have focused on economic development. Others have continued the mission of the library that started it all by promoting education. “We have begun to offer scholarships for educational purposes for community members who have now been displaced because of the outbreak of civil strife in 2013,” Chapman said. Through partnership fundraising, enough money has also been raised to help drill a well. Right now, the organization consists only of faculty at Concordia. “There have been times that we’ve had student groups and we really … like having the participation of students, it gives us kind of an edge and they help us with some of our projects,” Bath said. If you would like to get involved with PACODES, contact Dr. Mike Bath, Dr. Rick Chapman, Dr. Joan Kopperud or Dr. Roy Hammerling for more information.